Rainbow Movers has been one of Boston’s top rated moving companies since 1918. At Rainbow Movers our personalized approach to moving and storage helps us deliver exceptional service, quality and value to every customer. When you work with one of Boston’s top moving companies you are not simply hiring someone to move your stuff, you are working with a team of experienced professional movers. With our A+ from the Better Business Bureau and WBE Certification we are qualified and ready to help you with your next move. At Rainbow Movers, we are dedicated to making sure your move is organized, timely, cost effective and most of all safe. Working with one of Boston’s top moving companies means you are also working with dedicated, professional Relocation Consultants. Our professional consultants will work with your family or your business at a date and time that is convenient for you. Rainbow Movers Relocation Consultants will take a survey, answer any questions and discuss the best cost-effective options based on you and your specific moving needs. Your personal consultant will leave you with our comprehensive relocation information packet, complete survey results and customized quote(s). Rainbow Movers is committed to providing the best moving value and total customer satisfaction.  Rainbow Movers has been one of New England's most trusted movers, helping to move people around the corner and around the globe since 1918! Around the corner or anyplace around the globe. Whether you are looking to relocate your business or looking for relocation services for an employee, Rainbow Movers has you covered. Unlike other moving companies we offer a variety of different corporate relocations to fit any of your needs. Learn more about our Corporate Moving services today. Contact Us Today To Get Moving - (508) 528-4111!! As one of Boston's top moving companies Rainbow movers offers both local and long-distance moving services to fit any of your moving needs. Learn more about our residential moving services today. As a full-service moving and storage company, Rainbow movers offers both short-term and long-term storage solutions to fit any of your storage needs. Learn more about our Storage services today.